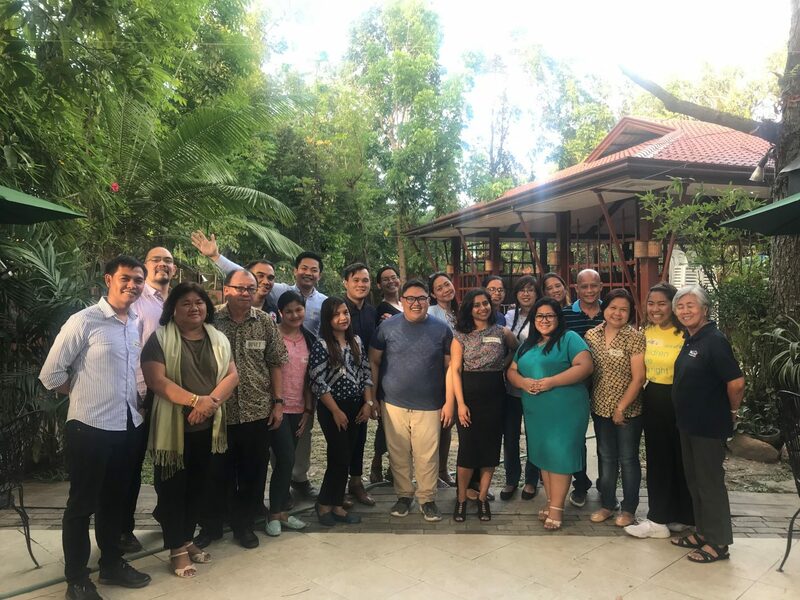 Farzana Ahmed, Senior Researcher at Peace Direct who are leading the “Stopping As Success” learning project, reports on conversations she had with aid actors at a SAS convened workshop in the Philippines in April this year. How should we define “local” and “international” in the context of aid? Can partnerships between aid recipients and aid providers continue after a project closure? Has foreign aid helped or distorted local capacity? Whose voice is prioritised in decision-making? These are just some of the questions we seek to explore through our Stopping As Success: planning for success from start to exit collaborative learning project. In April 2018, I travelled to the Philippines to try and answer some of these questions, in collaboration with the researcher Chris Millora. Chris is a PhD Fellow at the UNESCO Chair on Adult Literacy and Learning for Social Transformation at the University of East Anglia, where his doctoral research is an ethnographic study exploring the adult learning and literacy dimension of volunteering. Chris is from Iloilo City and his understanding of the local context, and interest and expertise in our research focus meant he was an ideal person to collaborate with. 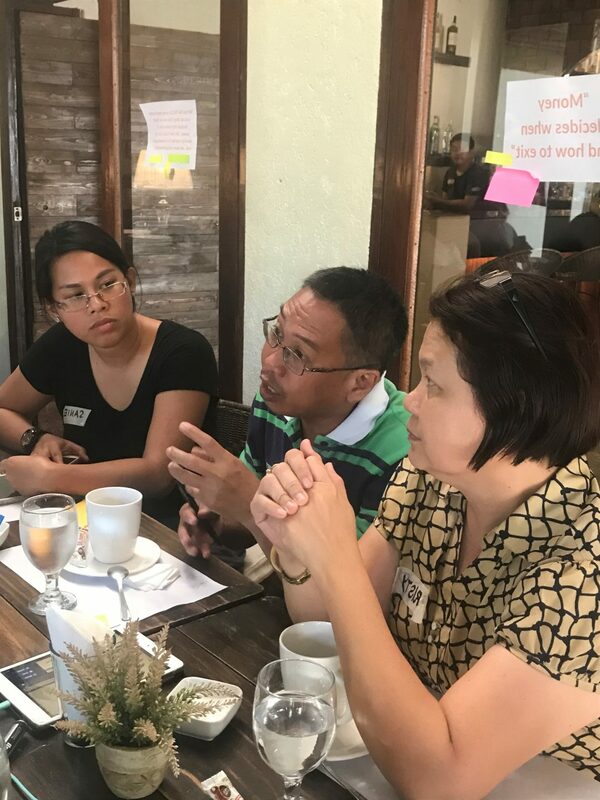 During our research trip, we conducted interviews with 56 international and local aid actors in Manila, Davao City and Iloilo City to learn about the challenges and opportunities for international and local partnerships from the perspectives of INGOs, donors, CSOs, academics and governments. 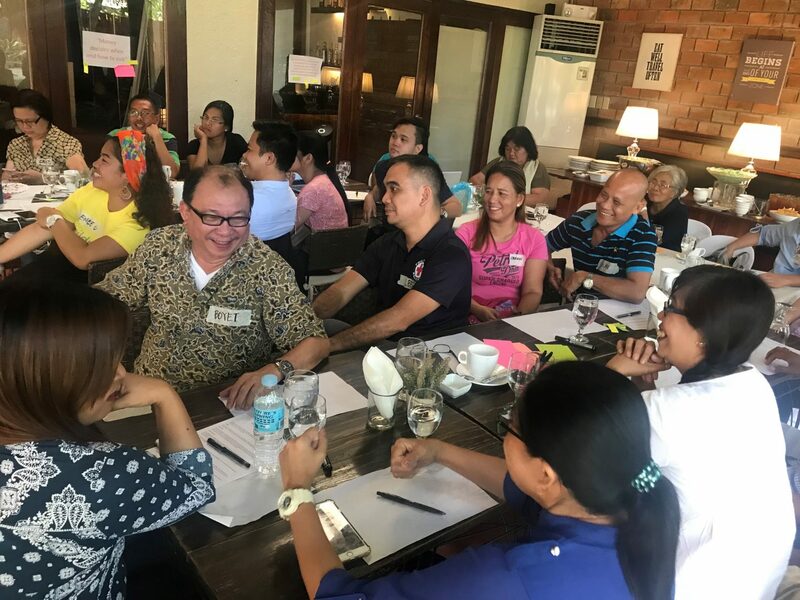 In Iloilo City we organised a workshop that brought together twenty aid actors to engage in focussed discussions on aid effectiveness and share experiences from having worked in and/or with international aid agencies. We will be writing up two separate case study reports based on the findings from our research trip and follow-up research, but I want to share some of the interesting things that came up in the interviews and conversations we had. The issue of ‘power’ in aid was one that repeatedly exercised interviewees. Some participants felt that when funding comes from abroad, INGOs and foreign donors are inevitably put in a higher position of power. However, others recognised the role of local agency in influencing and directing aid projects. Specifically, participants expressed the need for buy-in from local government. [Local actors] have a space in development work but not in its planning. Most INGOs do not understand the local context and culture, they just borrow from what they learned in Japan and Sumatra. We received a boat [from an INGO] even though we are not a coastal community and there are no floods in our municipality. Participants spoke of the international response to typhoon Yolanda, which was often uncoordinated and established parallel systems that distorted local efforts. A local government representative noted in some areas aid agencies were “filling a 1 litre bottle with 2 litre content” whilst neglecting the most hard hit areas. Due to the funding opportunities presented to them, local relief organisations typically worked in areas that were only accessible to international actors. This meant, for some islands, assistance arrived several months after the typhoon. Most participants identified “local” as encompassing a range of actors including local and national governments, barangay councils, civil society organisations and indigenous people’s groups. A director of a local NGO posed the question: “where is your distance to the centre of power?” He outlined that many remote island communities have no access to national government funds or international aid. Another participant noted that for these communities Filipino NGOs coming from Manila would not be considered “local”. Several participants spoke of the role of national staff in international NGOs. This has become more apparent as many international NGOs have devolved their powers to national offices, which has paved the way for Filipino staff to enter leadership positions. This blurred the “local” and “international” distinction. One national staff of an international NGO described this as a “hybrid of the local and international” as it allowed organisations to engage with aid actors at the global level whilst maintaining a “local identity” at the community level. When we arrived in the area it was so devastated and we were just given tents. However, the foreigners were housed in a hotel. I can really see the disparity. On the subject of aid exits, there was consensus amongst participants that exit strategies should incorporate a sustainability plan. Nearly all participants agreed that sustainable impact was dependent on strengthening local networks and institutions rather than the capacity of a single organisation. A local human rights activist noted the need for international NGOs to look beyond the service delivery functions of local organisations. For him, sustainability of projects is related to the advocacy functions of local actors. Communities should be seen as partners and not beneficiaries. international NGOs should be facilitators rather than the main actors. The views and insights expressed at the workshop in the Philippines resonated with what we heard last year on our global online consultation, where 95 participants from over 40 countries critically discussed issues around partnerships, aid exits and local-ownership of development. Peace Direct, and our learning partners Search for Common Ground and CDA Collaborative Learning will conduct 20 case studies of INGOs that have closed down all or parts of their projects in support of locally-led development. Over the next two years consortium members will be visiting Morocco, Democratic Republic of Congo, Thailand, Bosnia, Georgia, Kenya, and Timor-Leste, among other countries, where we will be meeting with local CSOs, national/local governments and aid agencies to learn about their experiences with different partnerships and exits. This will help shape our learning on the ways international aid can support local-ownership and local interests from the very beginning to the end of a development project..